Simulated benchmarks are somewhat of a custom, so once again we have with us the latest in sim. benches, straight from DG Lee over at IYD.KR. 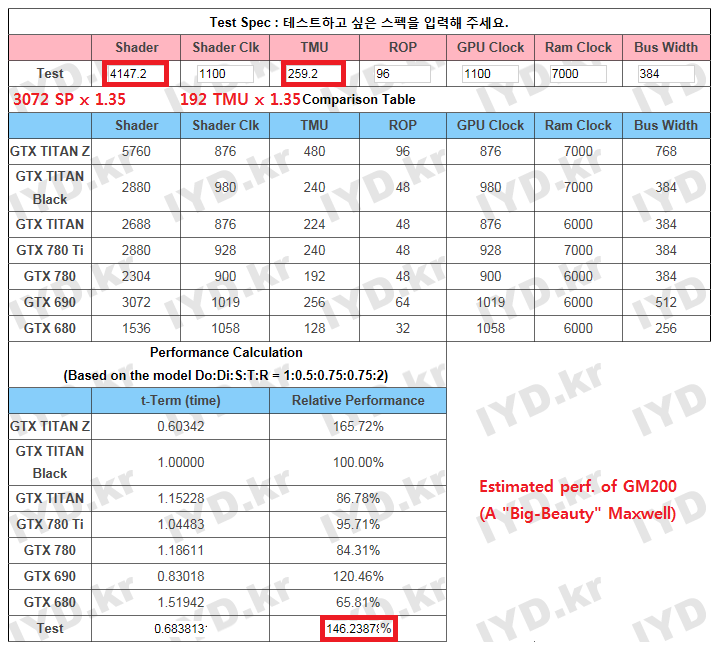 The benchmarks simulate the leaked specs of the GM200 GPU against the leaked specs of the AMD Fiji XT GPU. 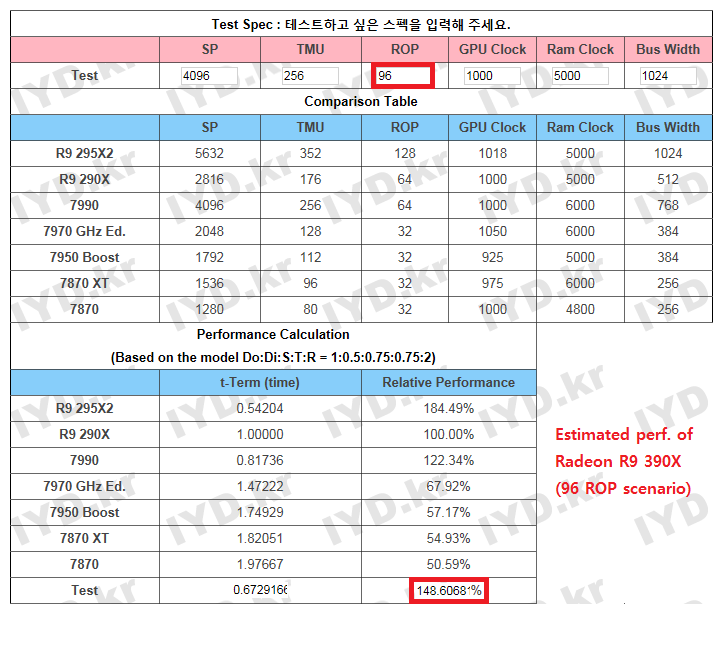 It is worth noting that the relative performance of AMD’s flagship was calculated using HBM specifications. 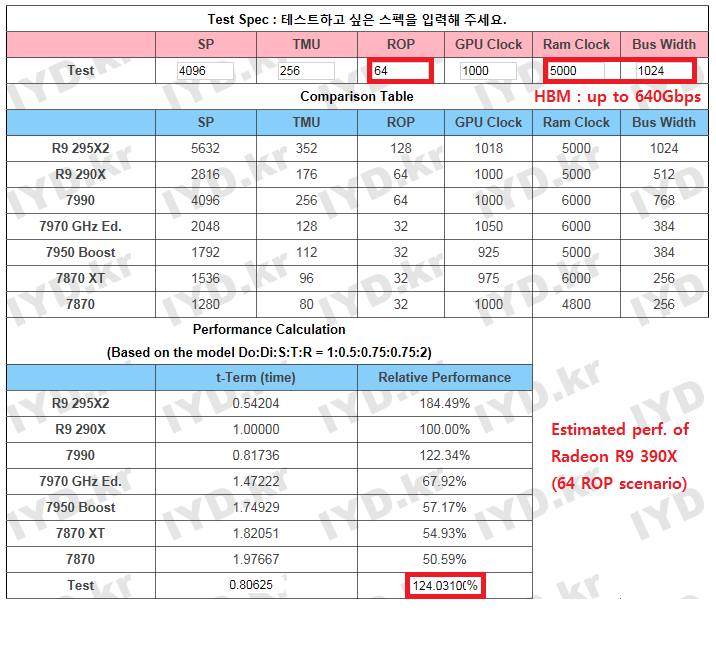 If these simulated benches are correct, and looking at all the correct past forecasts, these probably are, than we are looking at a very close competition between the R9 390X Fiji and GM200 Titan X GPU. A difference of 2% in theory accounts for almost nothing in real life where ideal conditions don’t exist and things such as unoptimized drivers can make a night and day difference. It was however, interesting (imo) to see how the math of it all adds up.